Steve Morris spends his life entertaining Americans. Yet, sadly, there are Americans who have not been entertained. 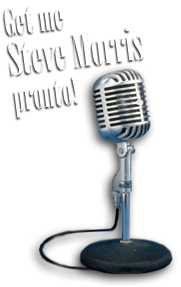 That’s why Steve continues his work as a writer, broadcaster, voice actor, and radio/t.v./stage performer, on a mission to entertain every last one of us.